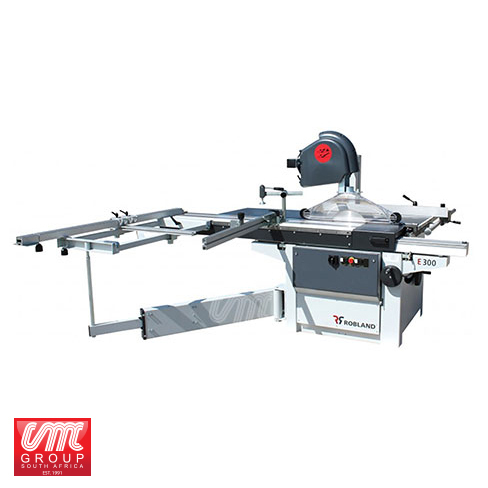 The Robland E300 is a versatile compact panel saw witch has been a prominent contender amongst the large range of space saving machines on the market. Although small the E300 still has the build quality of its big brother the Z3200 and sits perfectly in smaller workshops that still require the accuracy when sizing panels. The Robland E2500 is a compact panel saw that not only offers fantastic value for money, but also remarkable build quality. 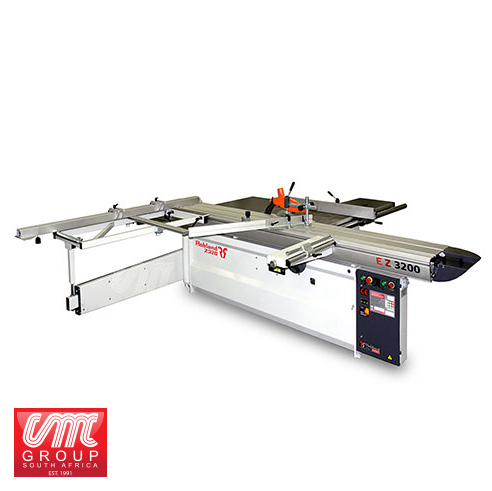 The E2500 is perfect for small workshops or as a second saw in larger production environments. 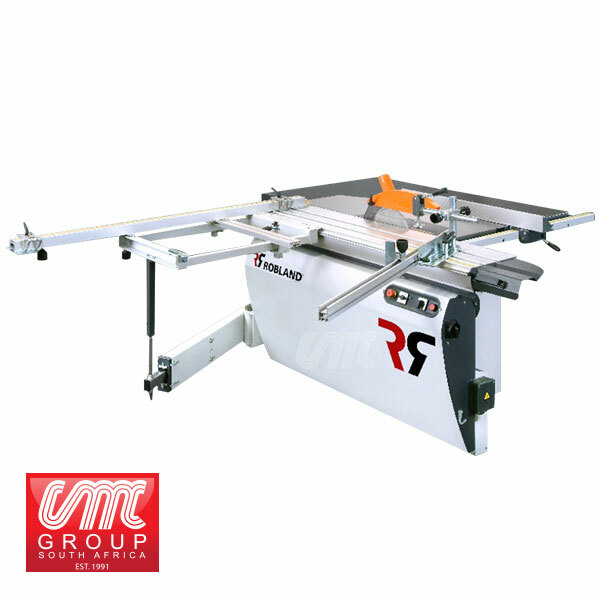 The most sold range of ROBLAND formatting saws. The machine offers high utility value at a favorable price. More than 1,000 references in the Czech Republic. Machine for professional use. Modern robust steel construction of the stand, table top made of thick-walled cast iron. Trolley seat construction – Two prismatic guides made of hardened polished bars, a ball-shaped, thick-walled alloy alloy profile allows for extra lifetime warranty for 5 years! Support slats with retractable ruler up to 2700 mm , usable on both sides . For angle angles, the machine is equipped with an angular ruler with a rotation of -45 ° + 45 °. At the basic price of the machine is a support for large plates with an adjustable stop for self-sealing, a support stop . Three speeds adjustable by wedge belt. Engine with automatic brake 5.5kW. Anodized carriage and ruler surfaces. 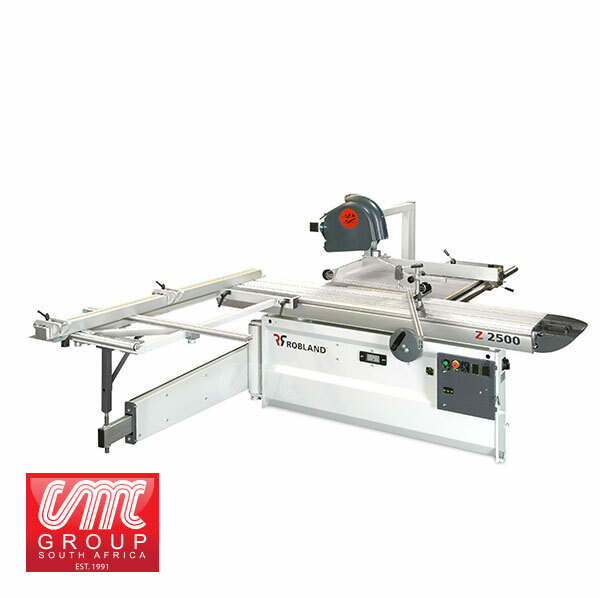 Buying the eZ 3200od formatting saw from ROBLAND you get a reliable partner in your joinery. Table width : 430 mm. Powered rip fence with servo drive. The Robland NXZ Panel Saw is a compact entry level panel saw based on the Robland NX combination range. There is an option to have the machine with or with out the scribe blade. Electric rise and fall saw blade. Cutting capacity with fence 1525mm. Scoring unit 1hp, 120mm, 8200rpm. Saw blade 400mm, cutting depth 90°: 125mm, 45°: 100mm. 3 Speeds on the saw. Telescopic arm outrigger table and fence and two support rollers. The NZ is a true example of approved techniques, high quality and ergonomic design. The prominent lineation of the new design is reflected in all details. The modern skin hides the results of long years of experience and approved techniques that feature in all Robland machinery. Orderly organized and ergonomically placed controls characterises the simplicity of the design. The hand wheel allows you to wind with ease the saw blade up/down or tilt the saw unit even with the motor down. Transparency for more safety, standard wide and small saw hood. Standard parallel fence with micro adjuster, small and narrow cuts with saw blade tilted are no problem. The optional digital flip stop on the cross-cut fence guarantees reliable repetitive precision. The optional digital read out on the parallel fence offers versatility and exact measurements. Standard on the machine: support table with extra squaring fence. The mitre fence and excentric wood clamp on the sliding table are standard equipment. In both directions 2 x 45° mitre cross-cut fence are standard features on the machine. Robland have been making good quality good value panel saws for over 30 years now so they really do know what they are doing. The Silverline Robland PS3200 is the latest saw to be produced from their state of the art Bruges Factory. All the Credit is due to the hard work of the guys from Robland who have put allot time and effort into the research and development of this new 3 axis panel saw. This new machine has also been possible with a little help from the companies heritage, experience counts for a great deal in all industries. As you would expect from Robland this machine is true to its roots, simple, strong and reliable. Not only have Robland introduced a 3 axis blade control they have redesigned the cross cut fence which is now one of the heaviest you will find in the market place. There have also been improvements to the cross cut carriage which enable the operator to easily adjust the angle of the cross cut fence. With the comfort pack this enables the operator to handle large sheets with ease. 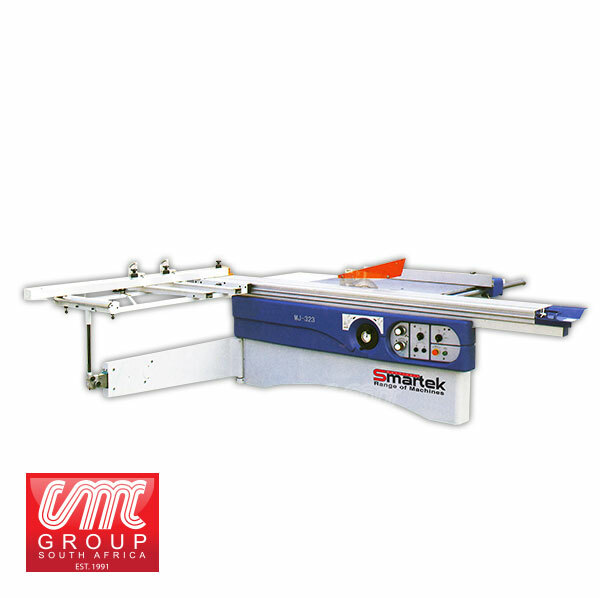 A saw capacity of 450mm meaning a saw blade projection of 150mm. And to top it all off the new robland silver line range now come with a metallic paint finish. Power of the main engine with the start-up Υ / Δ manual 5.5 kW. Engine type S1 (for continuous operation). 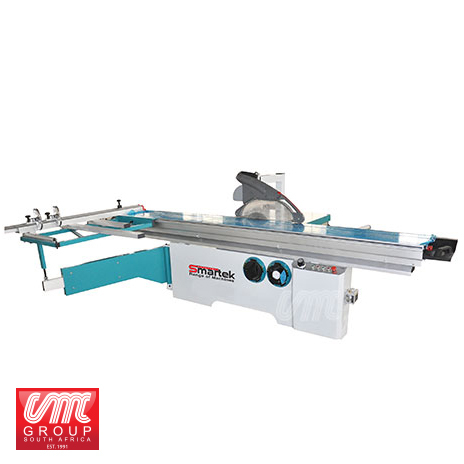 Maximum diameter of the circular saw400x30mm. The minimum diameter of the circular saw300x30mm. Maximum sawing height at 45º100mm. Inclination of the circular saw 90-45º. Amount of revolutions per minute 3000/4000/5000. Diameter of the counter spindle120x20mm. Number of revolutions per minute spindle 7000. Dimensions of the fixed table1530x700mm. The Robland E2500 is a compact panel saw that not only offers fantastic value for money, but also remarkable build quality. 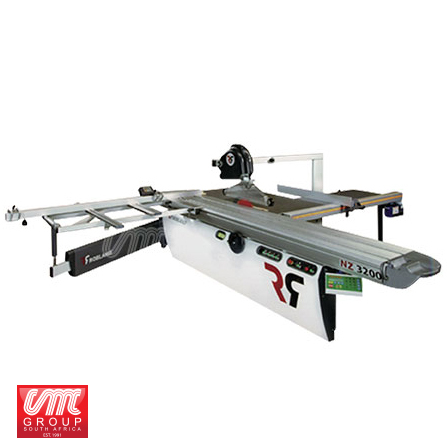 The E2500 is perfect for small workshops or as a second saw in larger production environments. 3200 x 1300 mm. Table width : 430 mm. Motorised up/down saw blade. Powered rip fence with servo drive. Scoring saw up/down motorised. Scoring left/right motorised. Right fence motorised.